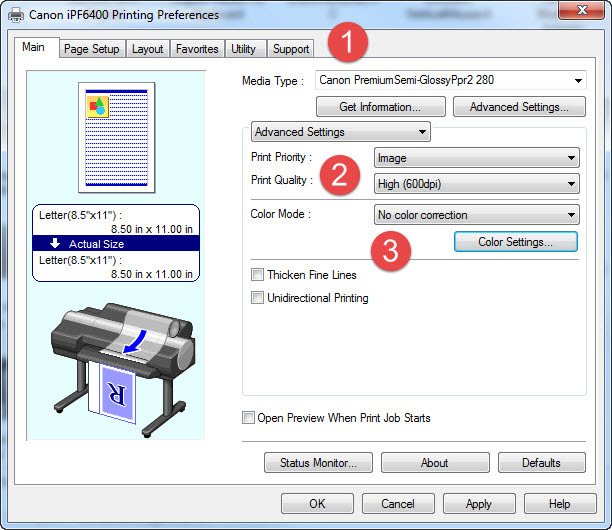 A guide to using ICC printer profiles with older Canon imagePROGRAF inkjet printers in Photoshop. These screenshots cover the printing setup, not soft proofing. 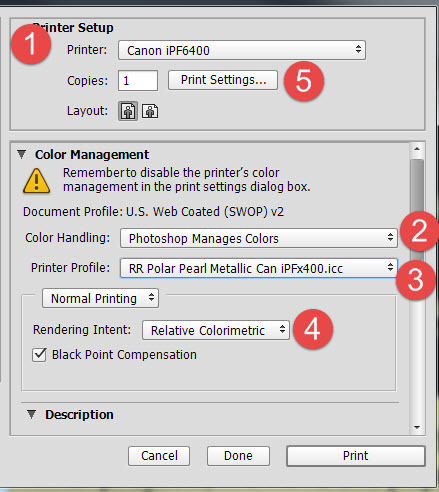 In Photoshop click File > Print and you will see the new print with preview page. 1) Set "Photoshop Manages Color"
4) Select Relative Colorimetric or Perceptual. 3) Set Color Mode to "No color correction"